Artist’s impression of Solaris Dutamas. A sophisticated retail experience awaits city folks at Solaris Dutamas. The almost completed integrated development by Sunrise Bhd will interweave arts and culture with leisure shopping and dining. In a strong departure from conventional shopping malls that offer more of the same retail chain stores, Solaris Dutamas, a 17-acre hub just 500m off Jalan Duta, aims to inject a “heart” into Kuala Lumpur’s shopping landscape through a unique, art-inspired retail concept. This bold move entails fusing arts and cultural activities with urban shopping. The emphasis is on one-off retail shops with fresh concepts and unique merchandise. At Solaris Dutamas, visitors will experience the pervasiveness of art and culture in the shops within the retail centre as well as throughout the entire development including the streets and parks. The driving force behind the art and design theme is the public arts and cultural platform called MAP (Making Art Public). It serves as a meeting point between artists, curators, critics and the public. Its facilities include the White Box, an open exhibition gallery and the Black Box, a 200-seater experimental theatre. First launched on March 27, these public access spaces will host activities ranging from art and cultural exhibitions, theatre performances, film screenings, lectures, seminars and workshops, poetry readings and other community based arts. Solaris Dutamas comprises a grade A office tower, office suites, shop offices and serviced apartments that are fully sold, as well as a retail centre. The project, first launched in October 2006, is nearing completion with most of the components already handed over for occupation. The retail centre, scheduled for opening first quarter of next year, will offer 335,000sq ft of net lettable area with over 200 retail lots. The development has more than 5,000 carpark bays and is strategically located near the courts of justice complex, federal Government offices and prime residential suburbs including Mont’ Kiara, Hartamas, Bukit Damansara and Bangsar. Sunrise Bhd will be unveiling this exciting retail concept to select retailers at a by-invitation-only launch event later this month. PENANG: The condominium and luxury villas project based on the mediterranean lifestyle concept,"Moonlight Bay", in Batu Feringghi here is expected to be ready in August. Developed by the Ivory Properties Group, the project has a gross development value (GDV) estimated at more than RM190 million. The project director, Murly Manokharan, said Moonlight Bay comprised 70 units of four-storey villas and a 20-unit condominium complete with security features, a recreational park, swimming pool and sports facilities. He told reporters here today that the 14-hectare Moonlight Bay would have a sea view with South European design features. "This location is much sought after by investors and home owners, especially those looking for the ideal place, to experience peace of mind and far from the daily hassle of city life," he explained. According to Murly, the villas measuring between 900 sq m to 2,600 sq m, come with a lift facility to each unit while the condominiums measure 800 sq m.
"The price of each condominium unit starts from RM1.2 million to RM1.3 million, while the villas are priced between RM2.7 million to RM4.4 million," he said. All units for non-Bumiputera have been sold while registration is still open for the Bumiputera take-up. Moonlight Bay was named winner of the, "In Penang My Preferred Second Home Property 2007", and has also won a number of awards at the international level. SINGAPORE: YTL Corp Bhd expects Singapore to be its next big market, said managing director Tan Sri Francis Yeoh. He said despite the global financial crisis, YTL went ahead to acquire some assets in the island-state in the past two years and these turned out to be highly successful ventures. In late 2008, YTL bought a slice of Starhill Global REIT which owns 11 prime properties in Singapore, Japan, China and Australia. Last March, it acquired PowerSeraya Ltd, Singapore's second-largest power generation company. In real estate, it is developing villas on Singapore's Sandy Island and Kasara in Sentosa Cove, and will redevelop Westwood Apartments on Orchard Boulevard. Yeoh said the group was keen to tap Asia's growing utilities market, including power generation, water treatment, property and construction, hospitality and communications. He believes the world's economic epicentre has shifted to the East, with more business opportunities mushrooming in the region. “The dynamism of Asia's economy is very obvious. We believe the region will lead growth in the next 20 to 25 years,” he told StarBiz over the weekend. The group, whose core businesses are ownership and management of regulated utilities and other infrastructural assets, derives about 85% of its revenue from abroad. “We already have an Asian footprint, including shopping centres and a cement plant in China. We also own the second-largest power plant in Indonesia. 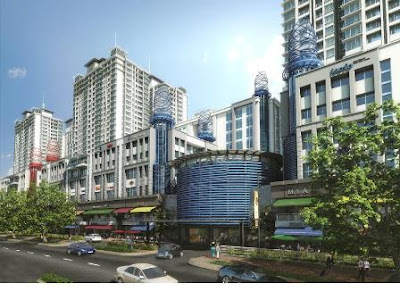 “In Singapore, we have PowerSeraya, property projects and Starhill Global REIT. “China has tremendous opportunities. Even the average person pays cash when buying property,” he said. To celebrate its successful ventures in Singapore, YTL hosted the Concert of Celebration in the city-state last Saturday. The free outdoor concert at the Singapore Botanic Gardens saw Italian tenor Andrea Bocelli, renowned flutist Andrea Griminelli, Slovenian soprano Sabina Cvilak and popular Australian singer Delta Goodrem performed for thousands of people. On whether the weaker pound sterling would affect YTL Power International Bhd's receivables from Wessex Water Ltd, Yeoh said being a diversified international player, there were bound to be earnings translation losses and gains from overseas investments. YTL Power acquired Wessex Water, a water and sewerage operator in the United Kingdom, in 2002 for Â£1.24bil. He said investors should look at the company's long-term operational efficiency and profitability instead of its quarterly performance. “All our overseas assets operate on their own and having borrowings in their local currencies provide a natural hedge against foreign exchange fluctuations. “We are very happy with our investment in Wessex and aim to make it the top water and sewerage company in the world,” Yeoh said. An analyst with a local brokerage said most investors bought into YTL Power for its strong dividend yield. In the financial year ended June 30, 2009, YTL Power paid 15.75 sen dividend per share, which translated to about 7% gross dividend yield. For the six months ended Dec 31, 2009, YTL Power's net profit rose 21.7% to RM481.4mil while revenue increased 232.5% to RM6.3bil. The YTL group has some US$3.5bil cash for its ongoing search of new acquisitions and projects. JOHOR BARU: A woman whose apartment was auctioned off by a bank after she failed to settle her instalments of RM1,385.17 six years ago was awarded RM25,000 in damages by a magistrate’s court here. In her statement of claim filed in the High Court in 2006, Metildah Louis Angel Perix, 51, said she had taken a RM23,750 loan from RHB Bank to buy a low-cost apartment in Taman Rinting in 1999. However, she was unable to settle her instalments amounting to RM1,385 between May 2004 and November 2004 due to personal and health problems. After receiving a telegram from the bank about the arrears, Metildah had paid a partial sum of RM500 in January 2005. She was shocked that the bank had auctioned off the house together with all her belongings on March 2005. Her claim, filed through lawyers R. Jeyabalan and K. Bharathi, to nullify the auction, sought RM14,543 in damages for her belongings and RM28,000 for the apartment. Magistrate Khairulnadiah Hasmi ruled that the auction was unlawful and awarded Metildah RM25,000 in damages. The bank was represented by lawyer Norlinda Lasri. Metildah said she was happy that she had gotten something back as she spent almost RM30,000 renovating the house. “I do not understand why my house was auctioned off when just a small amount of money was owed to the bank,” she said.